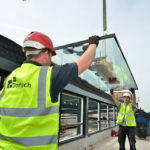 WIGAN COMMUNITY FIRE AND AMBULANCE STATION - Dortech Architectural Systems Ltd.
Wigans newly built Community Fire and Ambulance Station glazing contract was awarded to Dortech by main contractors Willmott Dixon. 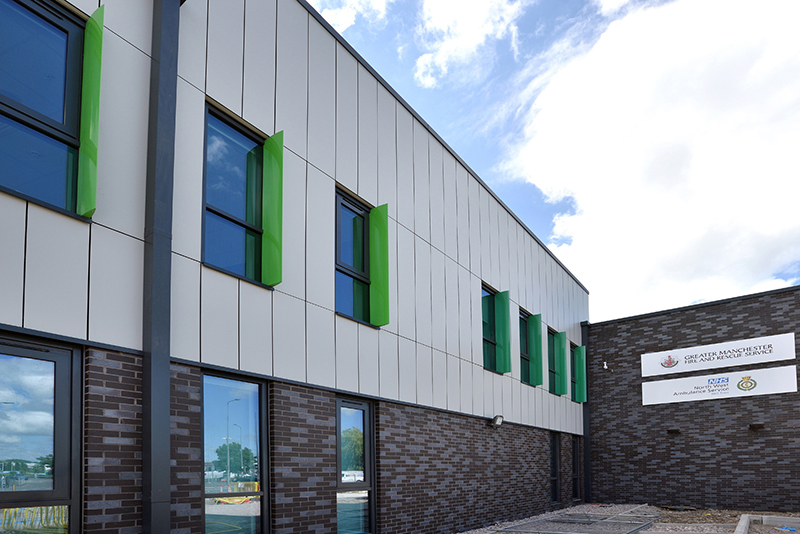 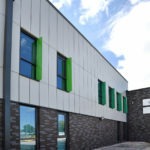 The new building is set to house the headquarters for Greater Manchester Fire and Rescue Service (GMFRS) and North West Ambulance Service (NWAS). 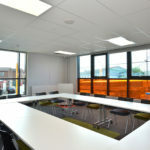 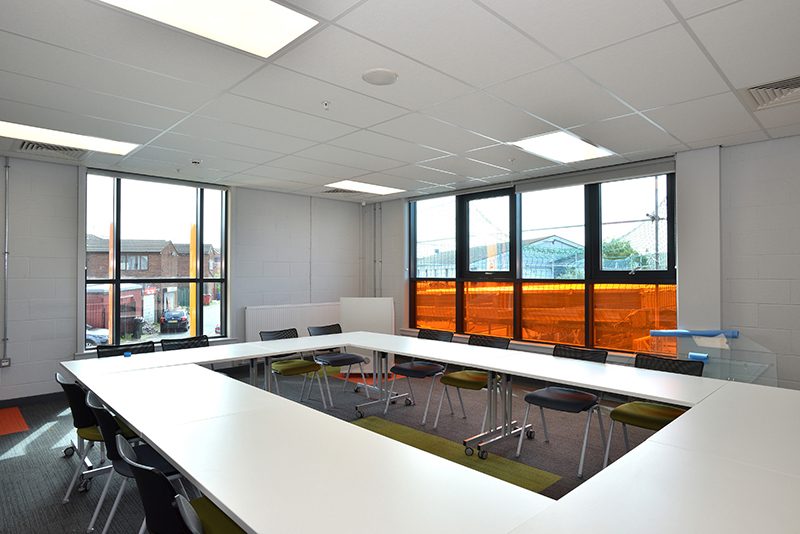 The project was designed by Bluesky Architects in Stockport and incorporates approximately 170m2 of high performance glazing, utilising Technals MY, FY and PY glazing systems. 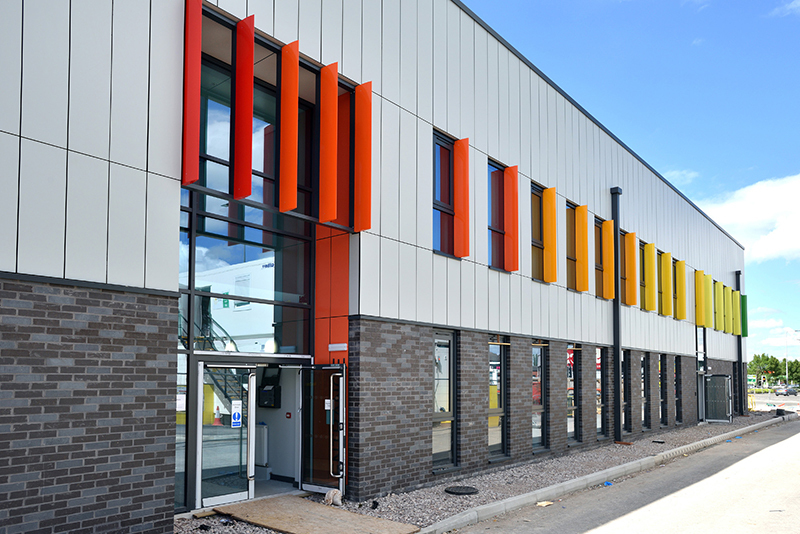 Dortechs design included brighly coloured vertical fins, which can be seen projecting over 300mm from the curtain wall framework. 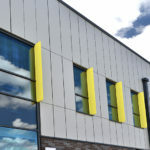 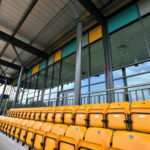 These have been mechanically fixed in place and provide a more cost effective solution to that of traditional brise soleil, which typically involves more components and can take longer to assemble. 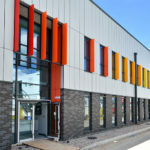 In our opinion, the fins work well and give this building a really distrinct identity. 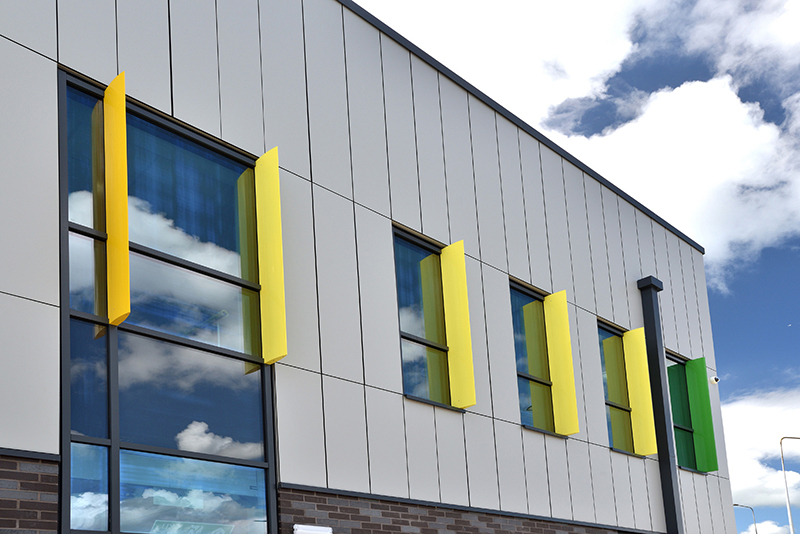 It was a pleasure to work with BlueSky and Willmott Dixon in the delivery of this successful project.